Edit design Football scarf Darmstadt merchandise , or create your design from scratch. 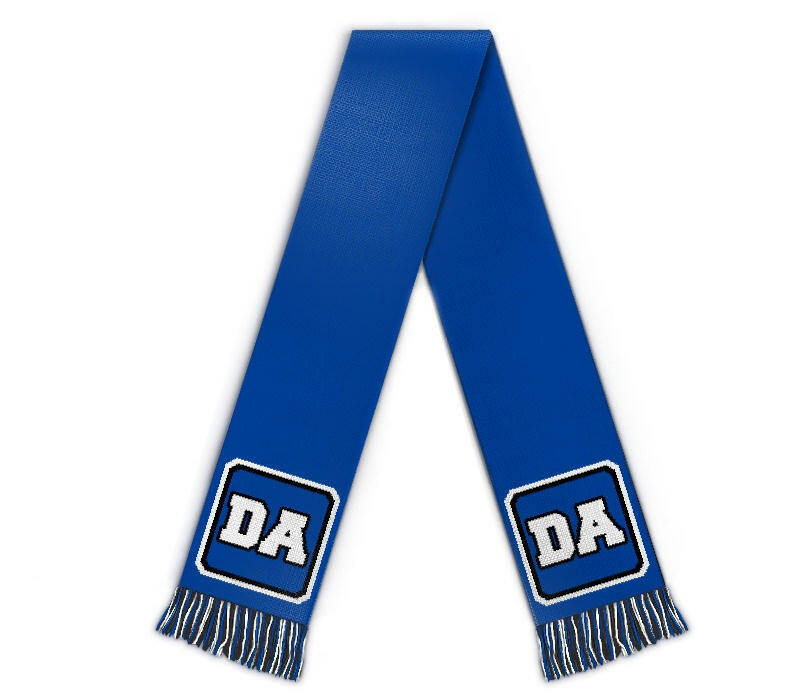 Design a Darmstadt soccer scarf in blue and white now. Team merchandise from the German Bundesliga with your custom design and logo knitted in. Order today.